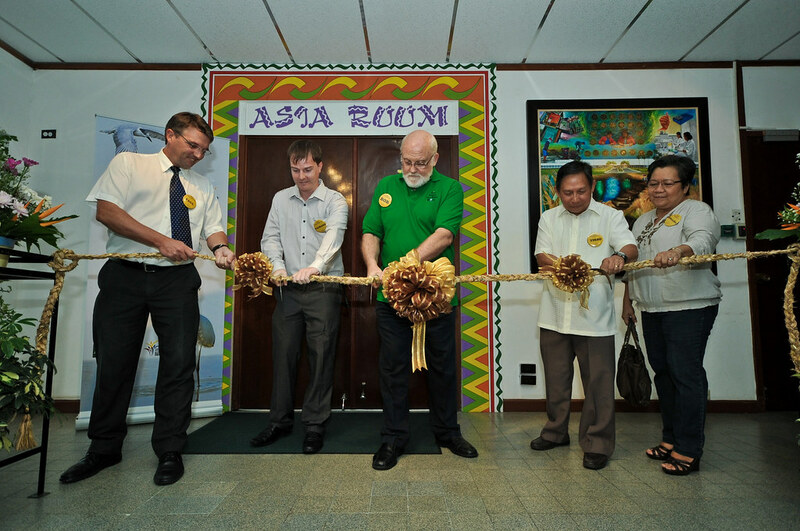 Robert Zeigler, IRRI director general, welcomed the guests with a presentation on IRRI’s research, after which they viewed exhibits thatshowcased the extent of IRRI’s research, with emphasis on rice breeding, agronomy, and grain quality. The guests also toured IRRI’s experiment station. Late in the afternoon, the guests proceeded to Riceworld Museum for the opening of Feathers in the Fields: The Birds of IRRI, a photo exhibit showcasing the many bird species that frequent IRRI’s research farms. The exhibit runs until 27 September 2013 and is open to the public. Admission is free. The research exhibit, tour of research facilities, and the bird exhibit was an opportunity for IRRI's scientists and other staff to interact and discuss the Institute's mission and work with the envoys, most of whom represent IRRI's partner countries. nice! and a quite extensive coverage, too. thanks, Gene.